vertical merger | Finance & Economics!!! The main importance of anti-combined policy (antimonopoly policy) is ideas to prevent industrial concentration or monopolization, to achieve locative efficiency and to promote competition. Even if many economists say that these are the main aims of this policy some of them may argue that anti-combined policies aren’t so effective and their goals aren’t always achieved. The main important anti-monopolistic idea is that they produce less output and charge higher prices than firms from competitive market system. In pure competition firms produce output quantity where P=MC. This equation is so important because P represents benefit that society gains from extra unit of output, while MC is the cost that society is ready to pay for that extra unit. When this equation occurs (P=MC) society doesn’t gain any higher total benefit by producing one more or one less unit of output. However, a monopolist doesn’t maximize profit by equating marginal benefit (not price) with marginal cost. In this case, there is an under allocation of resources to this monopolized products, so that economic well-being of society is less than it would be with greater competition. Regulatory agencies: In the markets where products or producing technology creates a natural monopoly, the government organizes public regulatory agencies that control economic behavior. 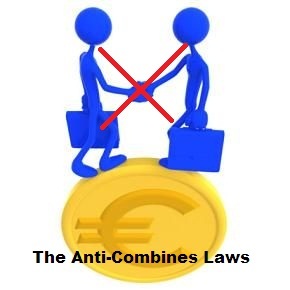 Anti-combined laws: in some kinds of market systems this control took form of anti-combined or anti-monopoly legislation that prevents the growth and development of a monopoly. Anti-combined legislation depends on corporate size and concentration. That’s why it’s important to examine all merger types. A horizontal merger represents a merger between competitors that sell similar products in the market. 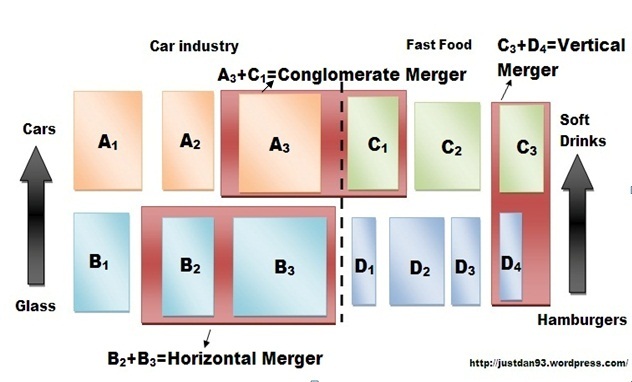 A vertical merger is a merger between some firms at different stages of production process. An example can be a merger between a firm that produces glass and another that produces plastic so that they may create windows that are sound-proof. Another example is that Pepsi, which is a supplier of soft drinks, and Pizza Hut, so that they supply food and drinks for these fast-food firms. A conglomerate merger may be defined as any merger that isn’t horizontal or vertical; it is a combination of firms in different industries or firms that operate in different geographical areas. This type of merger can extent the line of goods sold or combines some unrelated companies. An example of conglomerate merger is a union between Pizza Hut and some vehicle producing firms. Where are Economics Lovers From?